Mark Elliot Zuckerberg was born on May 14, 1984 in White Plains, New York. After graduating in 2002 from the Phillips Exeter Academy in New Hampshire, he enrolled at Harvard University where he earned a reputation as an expert software developer and created a social networking website called The Facebook. After his sophomore year, Zuckerberg dropped out of college to devote himself full-time to this project, which he renamed simply as Facebook; it eventually became a multi-billion-dollar corporation. Zuckerberg has been outspoken on a number of political matters, most notably immigration reform. “We [Americans] have a strange immigration policy for a nation of immigrants,” he wrote in an April 2013 Washington Postop-ed. “And it’s a policy unfit for today’s world.” That same month,Zuckerberg leda dozen fellow tech-industry executives in co-founding the organization FWD.us, to promote the creation of “a pathway to citizenship for immigrants … that do not have legal status.” He explained that the chief objective of his fledgling group, which drew its name from President Barack Obama‘s 2012 re-election campaign slogan (“Forward”), was to bolster America’s “knowledge economy” by attracting “the most talented and hardest-working people” from around the world. Toward that end, Zuckerberg has consistently favored increasing the number of H-1B visas that are issued to high-tech foreign workers, even though half of all students graduating with “STEM” (Science, Technology, Engineering and Math) degrees from American colleges are currently unable to find employment in those fields. He also supports an expansion of the Optional Practical Training program that allows foreigners with F-1 student visas to take jobs where employers can: (a) pay them much lower wages than they would be required to pay to U.S. workers, and (b) avoid paying Medicare and Social Security taxes on the foreign workers’ behalf. To maximize the effectiveness of FWD, its leaders in April 2013 also established two subsidiary organizations—Americans for a Conservative Direction and the Council for American Job Growth. In September 2013, Zuckerberg visited Capitol Hill to press members of Congress in private meetings to support an amnesty bill advocating citizenship for millions of illegal aliens. In June 2015, Zuckerberg donated $5 million to TheDream.US, a college scholarship fund created by Washington Post publisher Donald Graham, Democratic National Committee finance chairman Henry Munoz, and “immigrant-rights” activist Gaby Pacheco. Its purpose was to benefit illegal aliens to whom the Obama administration’s 2012 Deferred Action for Childhood Arrivals (DACA) program had granted legal status, work permits, access to certain social services, and protection from deportation. Zuckerburg continued to contribute heavily to the fund over the ensuing two years. Zuckerberg has been a vocal opponent of what he views as anti-Islamic speech. In September 2015, for instance, he and Facebook announced that they were joining forces with the German government and a German Internet watchdog called Voluntary Self-Monitoring of Multimedia Service Providers, to monitor what Facebook called the “racist and xenophobic comments” that some visitors were posting to the website. At the time, many Germans objected to the fact that vast numbers of “refugees” were migrating to their country from terrorist strongholds in the Muslim world. Later that month, Zuckerberg assured German Chancellor Angela Merkel, whose government had recently complained that Facebook was doing too little to purge its site of comments criticizing Islam, that he would give the issue all the attention it deserved. Beginning in November 2015, Facebook helped fund a newly formed “Hate Helps” propaganda initiative, organized by a German NGO called Demokratische Kultur (Center for Democratic Action), which pledged to donate one euro for every negative or “racist” comment posted against Muslims and migrants on the Internet. In January 2016, Facebook launched what it called an “Initiative for civil courage online,” whose purpose was to censor and remove from its website—particularly from items posted by German users—all “racist” posts contain[ing] “hate speech” and “promot[ing] xenophobia.””Hate speech has no place in our society—not even on the internet,” explained Facebook’s chief operating officer, Sheryl Sandberg. By contrast, Zuckerberg has exhibited much less concern about anti-Semitic rhetoric by Muslims. Beginning in September 2015, for instance, bulletins posted on Facebook were helping to fuel and encourage a sudden spate of Palestinian violence (stabbings, shootings, and vehicular attacks) against Jews in Israel. When the Israeli Foreign Ministry asked Zuckerberg and his company to remove any posts that incited anti-Jewish violence, they replied that they were not responsible for such content and had no way of monitoring it effectively. In October 2015, the head of the nonprofit legal organization Shurat HaDin (Israel Law Center) filed a lawsuit “on behalf of some 20,000 Israelis” accusing Facebook of “fanning the flames of the current Palestinian intifada” by “its refusals to actively monitor and block the incitement to violence.” And in January 2016, Shurat HaDin launched a campaigncalled “Zuckerberg Don’t Kill Us,” which sought to purchase billboard ads in and around Zuckerberg’s hometown of Palo Alto, California, to publicize Facebook’s negligence regarding this matter. “As many of you have heard, the Trump administration just announced they will be ending the Deferred Action for Childhood Arrivals program, or DACA. This is incredibly disappointing, and goes against everything we should stand for as a country. In a 2009 interview regarding the manner in which Facebook handled and protected the private personal data of its users, Zuckerberg told BBC journalist Laura Trevelyan that “the person who puts the content on Facebook always owns the information, and this is why Facebook is such a special service.” Those assurances, however, were inconsistent with what Zuckerberg had written during an instant-messenger conversation with a friend around the time he was first getting Facebook off the ground. In that conversation, Zuckerberg had characterized the users of his social network as “dumb f*s” for trusting him with their data. Years later, in the settlement of a 2011 case in which the Federal Trade Commission (FTC) charged Facebook because of its deceptive privacy claims, the company committed to giving its users “clear and prominent notice,” and to obtaining their consent, before sharing their information beyond what their privacy settings allowed. “[In 2014], a slug of Facebook data on 50 million Americans was sucked down by a UK academic named Aleksandr Kogan, and wrongly sold to Cambridge Analytica…. Kogan actually got his Facebook data by just walking in Facebook’s front door and asking for it. Like all technology platforms, Facebook encourages outside software developers to build applications to run inside it, just like Google does with its Android operating system and Apple does with iOS. And so in November 2013 Kogan, a psychology professor at the University of Cambridge, created an application developer account on Facebook and explained why he wanted access to Facebook’s data for a research project. He started work soon thereafter. “Kogan had created the most anodyne of tools for electoral manipulation: an app based on personality quizzes. Users signed up and answered a series of questions. Then the app would take those answers, mush them together with that person’s Facebook likes and declared interests, and spit out a profile that was supposed to know the test-taker better than he knew himself. About 270,000 Americans participated. However what they didn’t know was that by agreeing to take the quiz and giving Facebook access to their data, they also granted access to many of their Facebook friends’ likes and interests as well.… Kogan quickly ended up with data on roughly 50 million people. It was eventually learned that the data of up to 87 million people — mostly in the United States — had been improperly shared with Cambridge Analytica. According to The Guardian, the information contained in the Facebook profiles had been used “to build a powerful software program” to “influence choices at the ballot box” by “target[ing] [people] with personalized political advertisements.” Facebook confirmed in March 2018 that it had been aware of the massive data breach by late 2015 but had elected not to alert its users, and that it took only limited measures thereafter to recover and secure the information that had been compromised. For additional details of this Facebook data breach, see The Guardian story in Footnote #2, below. In November 2015, Zuckerberg and a number of fellow billionaires and entrepreneurs (e.g., Bill Gates, Richard Branson, Reid Hoffman, and Jeff Bezos) pledged to use their wealth to spark a “new economic revolution” founded upon “renewable” and “clean” energy. According to Zuckerberg, progress towards sustainable energy systems was proceeding at “too slow” a pace.On December 5, 2015, Zuckerberg and his wife, Priscilla Chan, publicly pledged to use their newly launched “Chan Zuckerberg Initiative” to give away, over the remainder of their lives, 99% of their Facebook shares—which at the time were valued at about $45 billion—to help “advanc[e] human potential and promote equality for all children in the next generation.” The SEC filing for this endeavor took pains to reassure investors that Zuckerberg planned “to sell or gift no more than $1 billion of Facebook stock each year for the next three years” and would retain “his majority position in our stock for the foreseeable future.” Moreover, the initiative was structured not as a nonprofit but as an LLC, thereby allowing it to earn and invest as much money as it wished. “Happy to do,” Podesta wrote in response. “This morning we activated Safety Check in Pakistan after a bomb targeted children and their families in a park in Lahore. Over the last two months, we have activated Safety Check several times for acts of terror — including in Turkey and Belgium — so people in the area can let their friends and loved ones know they’re safe. “Each of these attacks was different, but all had a common thread: they were carried out with a goal to spread fear and distrust, and turn members of a community against each other. 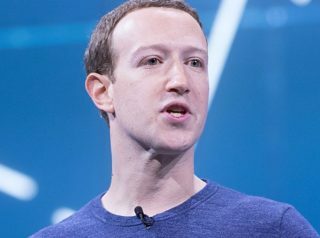 In the fall of 2016, Zuckerberg pressured one of Facebook’s top executives, Oculus founder Palmer Luckey, to publicly apologize for having supported Donald Trump during that presidential election season, and to issue a letter just before Election Day stating that he had recently switched his allegiance to libertarian candidate Gary Johnson. In a September 2016 email to Luckey’s attorney, Facebook Deputy General Counsel Paul Grewal wrote: “I need to tell you that Mark [Zuckerberg] himself drafted this [an attached apology for which Luckey was instructed to claim authorship] and details are critical.” The apology subsequently went through numerous drafts before Luckey and Facebook ultimately agreed on the precise wording. For additional information on Mark Zuckerberg, click here. On March 20, 2018, The Guardian reported the following:”Hundreds of millions of Facebook users are likely to have had their private information harvested by companies that exploited the same terms as the firm that collected data and passed it on to Cambridge Analytica, according to a new whistleblower. Sandy Parakilas, the platform operations manager at Facebook responsible for policing data breaches by third-party software developers between 2011 and 2012, told the Guardian he warned senior executives at the company that its lax approach to data protection risked a major breach. ‘My concerns were that all of the data that left Facebook servers to developers could not be monitored by Facebook, so we had no idea what developers were doing with the data,’ he said. “Parakilas said Facebook had terms of service and settings that ‘people didn’t read or understand’ and the company did not use its enforcement mechanisms, including audits of external developers, to ensure data was not being misused…. Asked what kind of control Facebook had over the data given to outside developers, he replied: ‘Zero. Absolutely none. Once the data left Facebook servers there was not any control, and there was no insight into what was going on.’ … He said one Facebook executive advised him against looking too deeply at how the data was being used, warning him: ‘Do you really want to see what you’ll find?’ Parakilas said he interpreted the comment to mean that ‘Facebook was in a stronger legal position if it didn’t know about the abuse that was happening’…. “Parakilas, 38, who now works as a product manager for Uber, is particularly critical of Facebook’s previous policy of allowing developers to access the personal data of friends of people who used apps on the platform, without the knowledge or express consent of those friends. That feature, called friends permission, was a boon to outside software developers who, from 2007 onwards, were given permission by Facebook to build quizzes and games – like the widely popular FarmVille – that were hosted on the platform. The apps proliferated on Facebook in the years leading up to the company’s 2012 initial public offering…. Facebook took a 30% cut of payments made through apps, but in return enabled their creators to have access to Facebook user data. “Parakilas does not know how many companies sought friends permission data before such access was terminated around mid-2014. However, he said he believes tens or maybe even hundreds of thousands of developers may have done so…. The Gizmodo story reported that a politically conservative individual who had formerly worked on the “trending” news section said, on condition of anonymity, that “workers prevented stories about the right-wing CPAC gathering, Mitt Romney, Rand Paul, and other conservative topics from appearing in the highly-influential section, even though they were organically trending among the site’s users.” Added the story:“Several former Facebook ‘news curators,’ as they were known internally, also told Gizmodo that they were instructed to artificially ‘inject’ selected stories into the trending news module, even if they weren’t popular enough to warrant inclusion—or in some cases weren’t trending at all…. [C]urators have access to a ranked list of trending topics surfaced by Facebook’s algorithm, which prioritizes the stories that should be shown to Facebook users in the trending section. The curators write headlines and summaries of each topic, and include links to news sites. The section, which launched in 2014, constitutes some of the most powerful real estate on the internet and helps dictate what news Facebook’s users—167 million in the U.S. alone—are reading at any given moment. “The former curator was so troubled by the omissions that they kept a running log of them at the time; this individual provided the notes to Gizmodo. Among the deep-sixed or suppressed topics on the list: former IRS official Lois Lerner, who was accused by Republicans of inappropriately scrutinizing conservative groups; Wisconsin Gov. Scott Walker; popular conservative news aggregator the Drudge Report; Chris Kyle, the former Navy SEAL who was murdered in 2013; and former Fox News contributor Steven Crowder. ‘I believe it had a chilling effect on conservative news,’ the former curator said…. Zuckerberg and fellow Facebook officials denied the allegations.